ADD ANY CRAFTS IDEAS U MAY HAVE!!!!!!!! 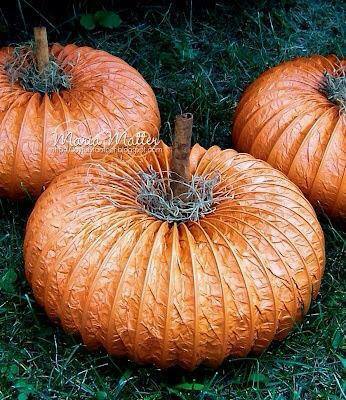 Super cute and easy DIY project...make pumpkins out of dryer vent coil, just spray paint orange and glue together. Use large cinnamon stick as your stem and add some foliage! TaDa! 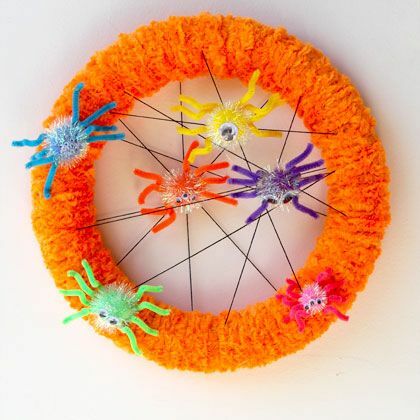 Add some bright, fun color to your Halloween decor with this cute spider wreath. I used hot glue to create the spiders, but if kids want to help, they can use a tacky craft glue to make them, too! Once dry, a grown-up can use hot glue to attach the spiders to the wreath.